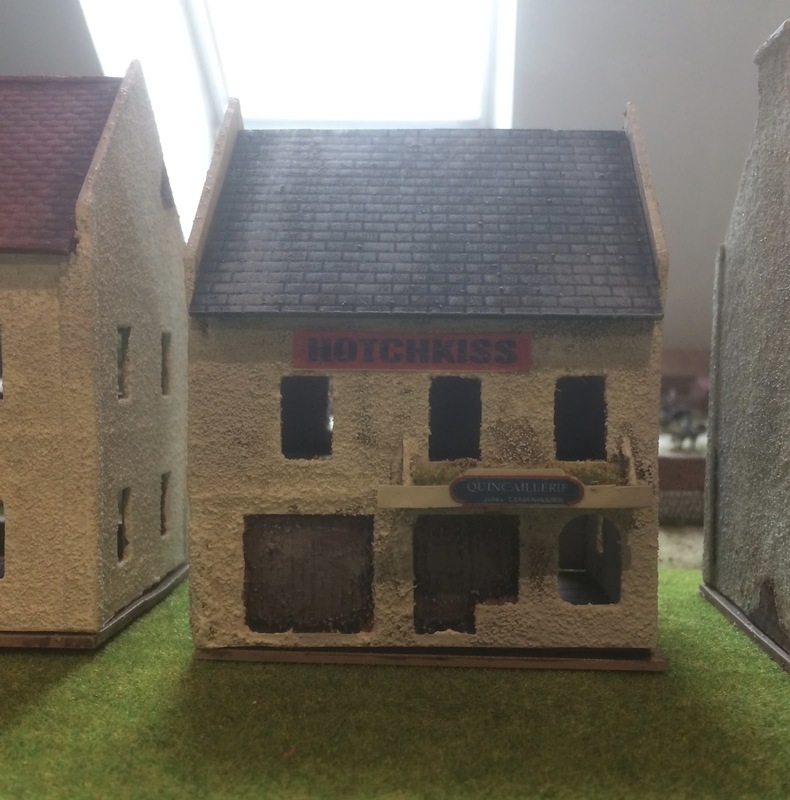 One of the great challenges of WWII skirmish wargaming is the number of buildings one needs. 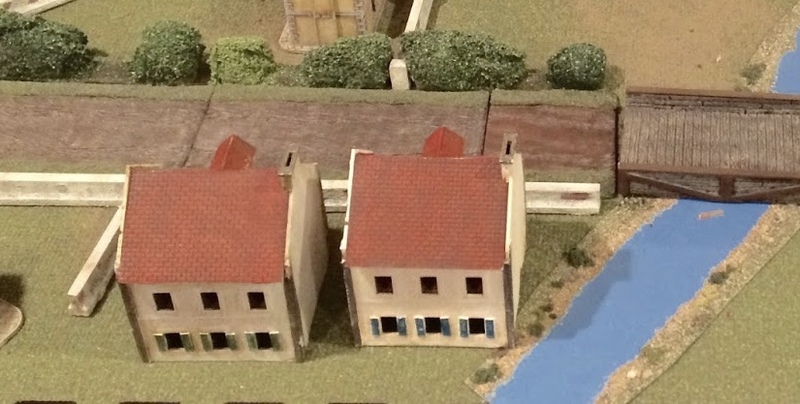 Many of the scenarios we have played have required up to 15-20 buildings. 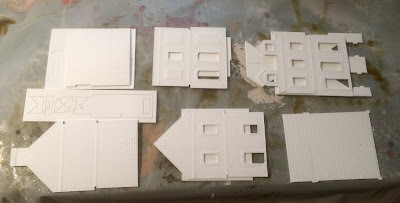 I started with the plastic Italeri which are quite nice but are a little big and also there are only 3-4 different models. I next went to 4-Ground MDF WWII buildings again quite nice and are almost as big as Italeri but again they really have only have one set in 1/72. They are also quite expensive. Both these manufacturers' building are more rural then urban. So the search was on for some inexpensive town buildings I could use. 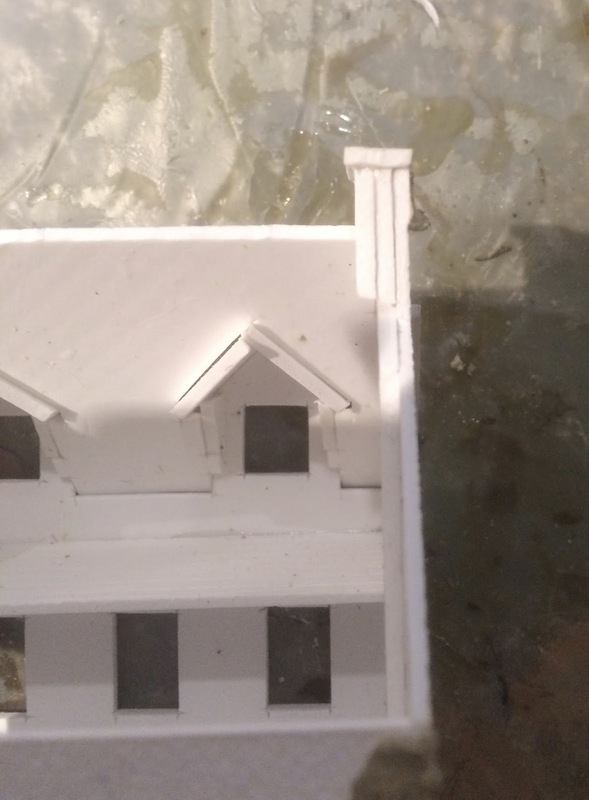 There are some resin buildings out there but they are a bit expensive and a lot of them do not have removable roofs. 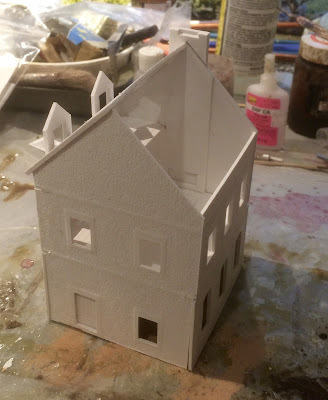 A couple of years ago I came across some PVC buildings from Plast Craft Games in their EWAR line. These are very inexpensive 15/20mm buildings that come flat packed and unlike MDF have some degree of relief. They are about €10 each and take about an hour to assemble using superglue. You then paint them and they look pretty good but I found the paint rubbed off easily and they were a little flimsy. I had painted up 3 of them and had 4 left to assemble and paint and I decided to take a slightly different approach. 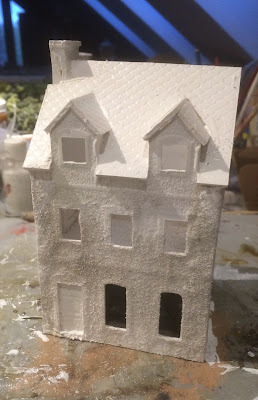 My aim was to make them a little more sturdy and varied. Also as you can see there were little strips that had to be used on the corners that I found a bit of a pain. 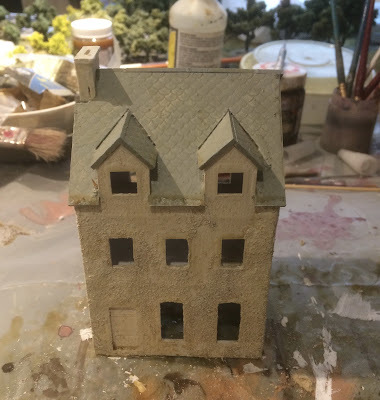 I felt the best approach was to apply a textured paint and/or filler. I experimented a bit and the result was certainly I believe an improvement but it did take a bit of experimentation to get it right. 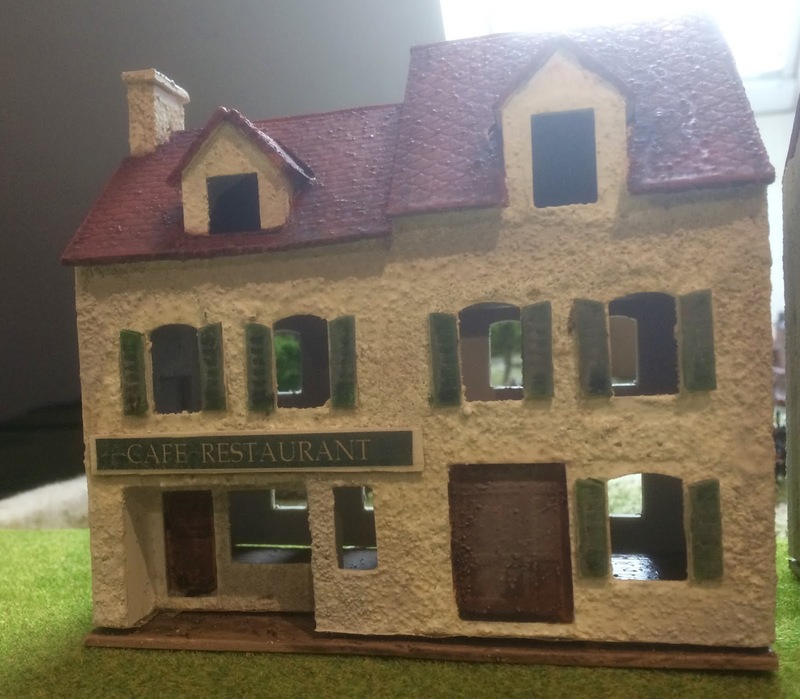 Here is the last building I put together. 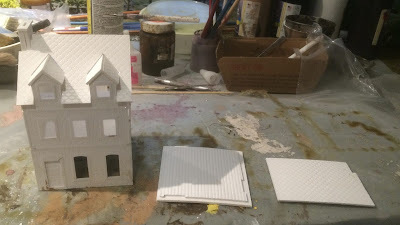 A lot of pieces but once you put a couple together you can get through the assembly within an hour. I have never bothered with the windows. I like having the rifles sticking out. 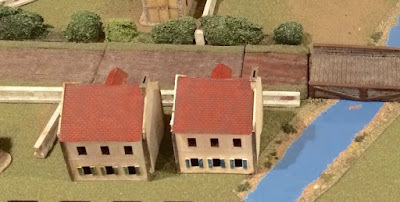 The chimney assembly illustrated the gaps that exist in the model. Once dry painted white a second time. 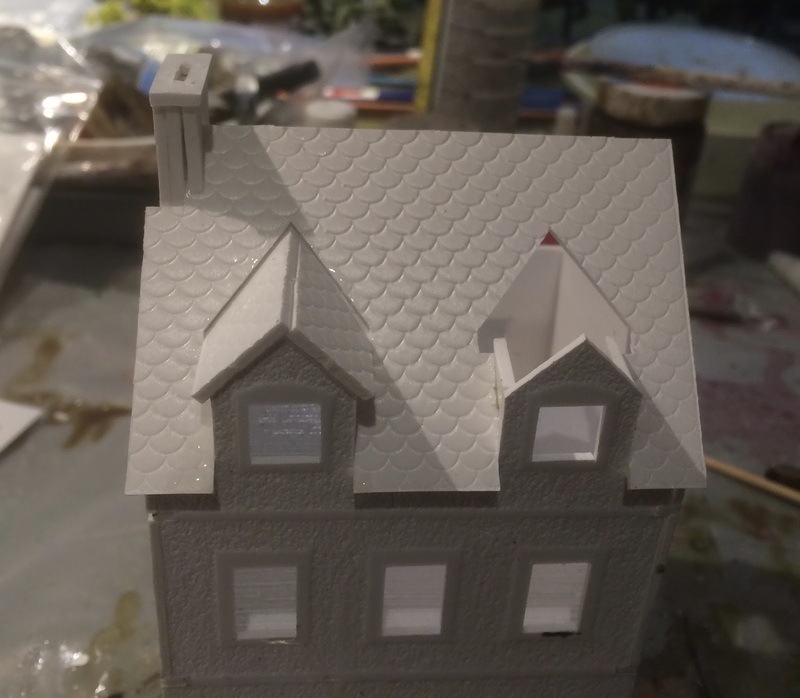 Roof painted and then varnished with Army Painter then matt varnish. This was the best approach as you can see below. There was mis-steps along the way though as you can see below. I am a pretty rough modeler, a lot of the dry brushing is quite rough and at times over-applied. 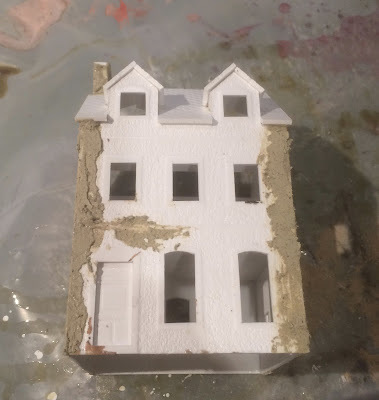 I certainly could have done a better job keeping the sand off the doors and scrapped out the openings a little better. But pristine looking building never have sat well with me, the buildings are in a battle zone, they should look a little tired and rough. So I am good with it. This was my first approach, sand mixed with paint, as you can see it clumped and the walls ended up a little too textured. 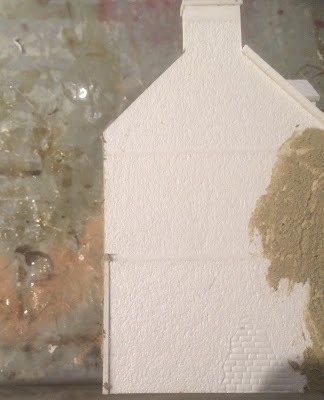 This worked better, paint then when still wet sprinkle on fine sand, then when dry paint again with white. 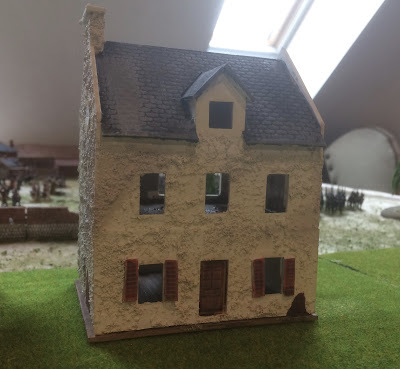 I am quite happy with the result as you can see they are very useful for skirmish wargaming as troops can be easily place inside. 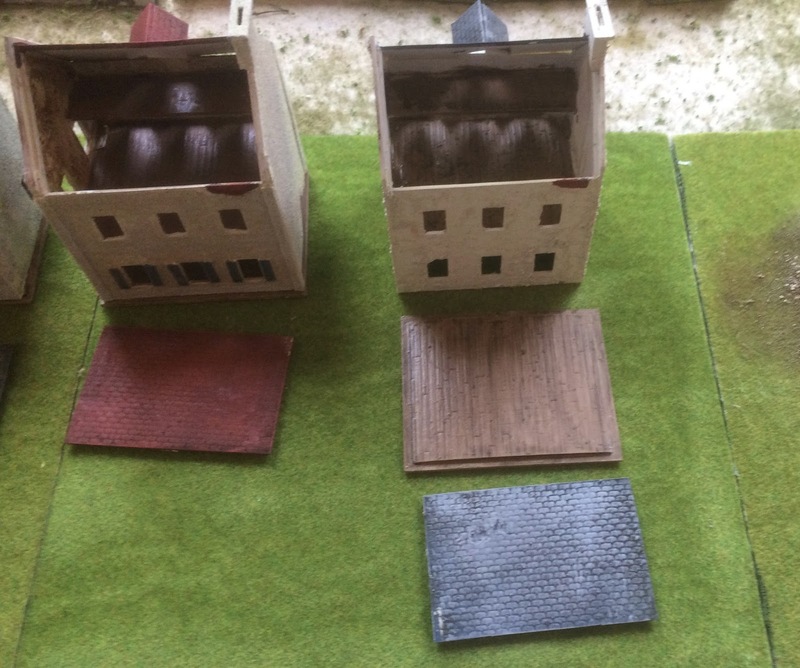 The building are certainly now much more durable. Interestingly enough they now seem to have the same buildings that are pre-coloured, I will have to order some more. They certainly do the job. Thanks for posting. 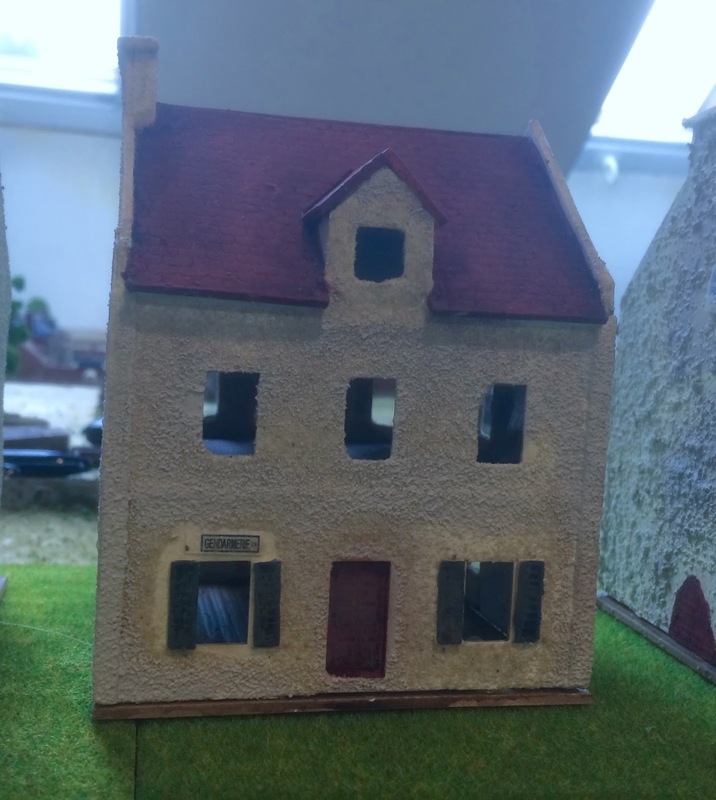 Nice work John,like the added detail to walls. Very good results. That looks like a whole village ready to played for now. Some nice additions, very functional. "It takes a Village", and you've creased a very nice one, John!